Judge Who Filed False Affidavits Won’t Be Prosecuted—D.A. 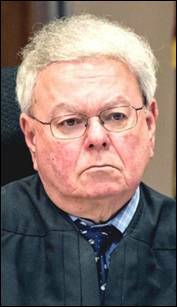 Humboldt Superior Court judge who was found by the Commission on Judicial Performance to have falsely stated under oath, in seven instances, that he had no cases pending before him for more than 90 days will not be investigated for a possible perjury prosecution, his county’s district attorney said yesterday. 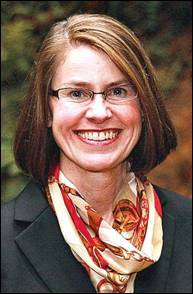 The statement by Humboldt District Attorney Maggie Fleming was in response to a MetNews inquiry. Under the state Constitution, a judge may not receive a salary if any cause has been pending before him or her for 90 days or longer. By statute, a judge who is in compliance must say so in an monthly affidavit. The commission made no finding as to willfulness, and Fleming said does not intend to look into the matter. “The California Commission on Judicial Performance has a primary role in monitoring the conduct of judges. The Commission is in a strong position to evaluate conduct in the context of a judge’s duties and overall performance. The Commission has, and has exercised, the authority to remove judges from the bench for inappropriate conduct. In this case the Commission chose to publicly reprimand Judge Reinholtsen rather than taking the stronger action available to it. “The decision to bring criminal charges is often not simple. As the National District Attorney’s Association states: A prosecutor should put the rights and interests of society in a paramount position in exercising prosecutorial discretion in individual cases. Prosecutors should only file those charges that are consistent with the overall interests of justice. A wide variety of factors may influence specific charging decisions. “Of paramount importance, to bring charges, prosecutors must have a reasonable belief that the charges can be substantiated by admissible evidence at trial such that a jury would convict the accused. It is not ethical for District Attorneys to bring criminal charges only to ‘send a message.’ It is my belief based on my review of the Commission’s report that, after a trial placing the actions of the judge in context, it would be highly unlikely that a jury would reach a guilty verdict. “In particular, extreme workloads for judges may create situations in which meeting the 90-day window for matters under submission is not in the overall interest of justice. I have reviewed the Commission’s findings and I believe the Commission overstated the opportunity for Judge Reinholtsen to re-assign work to other judges. Humboldt County judges all face persistently extreme workloads. The state has determined that to give Humboldt County judges reasonable workloads two additional judges would be needed. “When police officers commit crimes they are not just sent to their board of rights administrative hearing but are prosecuted as well criminally and often rightfully told when convicted and sentenced that their crime is that much worse because of their oath of office and special trust. Their sentences determined by judges are often more harshly imposed because of that public trust. “Judges are no different in terms of the high esteem in which they are and should be held in and the special public trust they hold or oath they take. “I sympathize with the case load and staff shortages in Humboldt County. While in the Legislature I tried to change the law to give trial courts direct control over their budgets instead of filtering all court funding through the California Judicial Council which is far removed from the day to day operations of our courts and unlike our trial court judges are unelected. However, the Humboldt District Attorney’s decision against further investigation is confusing at best. The Office of Attorney General Kamala Harris did not respond to an inquiry as to whether that office would consider a prosecution of Reinholtsen.